Hey there, April 27! So nice to see you. What’s that you have in your hand? 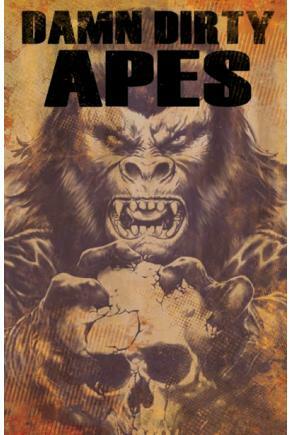 Oh, the new Planet of the Apes comic! On sale now, you say? Wait a minute, why are you holding that gun? What do you mean my rhetorical device has become labored? Come on, April 27, I thought we were pals! Just put down the — Aaagh! For the love of God, I have children!